When it comes to IT solutions for education, there are a lot of unique challenges. One of the largest challenges that schools have to face is the amount of movement and turnover with students. If we just look at college alone, around 17.3 million undergraduates enrolled in 2014 (nces.ed.gov) and nearly 3 million received a degree (nscresearchcenter.org). Combining that with the enrollment and graduation of K-12, the numbers become astronomical. What does that mean for IT admins? They have to onboard and offboard users at a rate faster than almost any business. These unique user management needs have driven IT admins who work for educational institutions to seek out innovative solutions that simplify onboarding processes and improve overall efficiency. This is where a cloud based directory, also known as Directory-as-a-Service®, comes in. JumpCloud is the world’s first Directory-as-a-Service. Our innovative cloud directory simplifies the life of an IT admin by simplifying the on-boarding/off-boarding process, connecting students to the IT resources they need, and increasing identity security – all from your web browser. While we strive to make a complete cloud directory solution, we also understand the budgetary restrictions that EDU IT departments face. This is why we offer reduced pricing for education. We also know that educational institutions are some of the most forward thinking when it comes to cloud and SaaS platforms. You still receive all of the power and tools of a very robust directory services solution, without having to purchase and maintain domain controllers or servers on-premises. If you’re facing a tight budget and a larger number of users, don’t hesitate to contact us directly. We can work with you to find a pricing solution that meets your needs and gives you a positive return on investment. One of the biggest benefits of cloud-based identity management is efficient onboarding and offboarding of students and faculty, paired with the ability to distinguish among subsets of users through group-based assignments. Directory-as-a-Service allows you to tell who the faculty are, and dictate what permissions they have, and tell who the students are, and dictate what permissions they have to various IT resources. By being able to manage groups of users simultaneously, it allows for much easier management for IT admins, and allows for faster transition when provisioning and deprovisioning students at the start or close of a semester. This pairs well with our app functionality, where we work tightly with G Suite (formerly known as Google apps) and Office 365 through protocol support. In addition, there are a number of educational and professional apps that students, administrators, and teachers may use that can be managed through the Directory-as-a-Service platform, such as PowerSchool. One benefit that our cloud based user directory offers as well is for those using LDAP servers or running G Suite. If you use these services you may be familiar with the GADS (Google Apps Directory Sync), now known as Google Cloud Directory Sync) middleware product. With JumpCloud none of that is required anymore. All of the communication between the directory service and the user is done directly through secure API “handshakes.” It’s a modern cloud based way to integrate with G Suite. Our DaaS identity provider is a highly secure cloud-based platform, which means there’s nothing on-prem. You don’t have to run any servers and you don’t have to focus on maintenance windows, security, availability, and redundancy like you would with LDAP or AD. All of that responsibility is on JumpCloud, because we are a globally distributed cloud-based solution. Our directory allows you to be able to focus on the responsibilities in EDU you truly care about, instead of the behinds the scenes responsibilities that we can help with. Directory-as-a-Service was designed from day one to be agnostic to resources as well. This means that we’re not married to any stack. 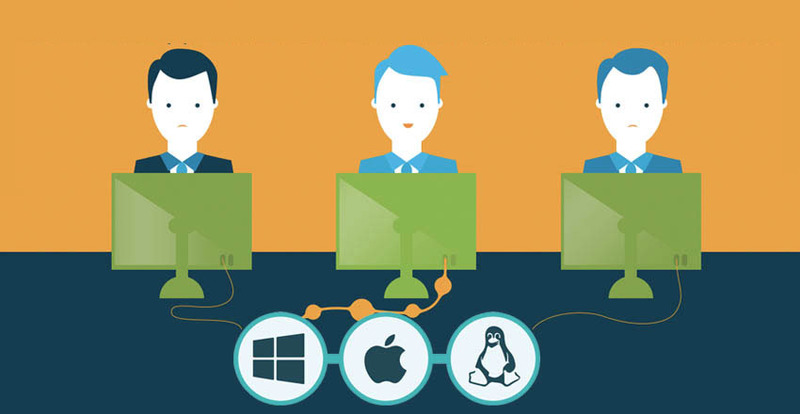 By maintaining this approach, we are able to ensure that Microsoft Windows, Mac, Linux, and Chromebook systems are all first class resources. This decision comes from the desire to allow you to have control over your systems. We don’t want to dictate your choices like Microsoft Active Directory® might. We want to give you a lot of flexibility. If you wanted to experiment with Chromebooks to see if those are more efficient and cost effective, you can do that with JumpCloud. Conversely, it would be extremely difficult to integrate those if you were using Google Cloud Identity or AD. JumpCloud is here to be agnostic to resources and support as many authentication protocols as we can, so you can choose the resources that are best for you, while knowing that you will still have a progressive directory service regardless of the choice. In the video above, Greg Keller shares his insights into modern IT solutions for education administrators, and offers a roadmap for moving your identity management platform to the cloud. The video also features a live product demo tailored for EDU workflows and a conversation with Bradey Malloy, network technician at the Northwest Area Education Agency (NWAEA). 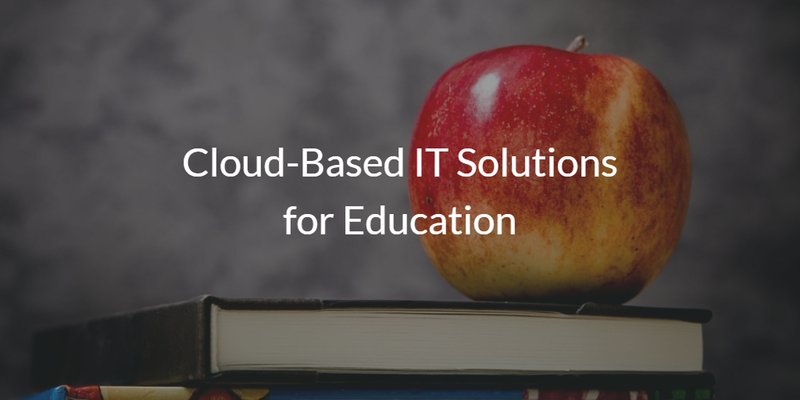 Interested in learning more about JumpCloud and our dedicated IT solutions for education? Drop us a note, and we would be happy to discuss how your organization could benefit from the cloud based user directory Directory-as-a-Service. Alternatively, you can sign-up for a free JumpCloud cloud directory account and give it a try for yourself. Your first 10 users are free forever – no credit card required.